An undercover narcotics investigation took a bad turn on Tuesday, June 14, at about 2 p.m. when a federal agent was threatened and fired on a suspect, who was taken to the hospital and later pronounced dead. During the ordeal, residents were told to take shelter-in-place and keep their doors locked. Many took to the Internet to get live coverage and others took to social media. On the Facebook page Revive Shops at San Miguel Ranch, many expressed concern at the Ranch’s open warehouse space that continues to be an eye-sore and a creator of economic hardship for the mom-and-pop businesses surrounding it. They asked why federal agents would be conducting a drug bust in this area, given that San Miguel Ranch is surrounded by housing and a school, Thurgood Marshall. Children are everywhere around this area. Residents wondered if this drug bust would’ve happened at all had the empty warehouse already been occupied by a grocery store. An Albertson’s store used to sell groceries in the building. They went out of business years ago, and in 2015 Joe Little at News 10 reported the space still hadn’t been leased to a new business. 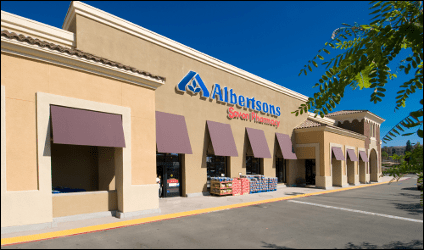 Little said Vons owns Albertson’s and doesn’t want another grocery store to compete. As a consequence, the other mom-and-pop businesses aren’t happy that their businesses are located right by the empty eyesore. Last year, Councilman John McCann started an on-line petition for residents, but the space still remains empty. 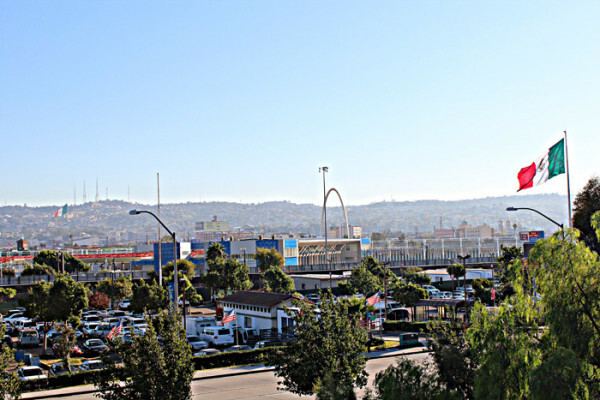 Otay Mesa is a predominantly industrial area with warehouses jutted up against the U.S.-Mexico border. Besides large corporations, Donovan State Prison, the Otay Detention Facility and Auto Wreckers are located in this area. Besides that, there’s land — lots of it. Developers see Otay Mesa as an area that could help with the regional housing shortage. Business groups, however, believe the industrial-rich area can bring good paying jobs to the South Bay. This week, Voice of San Diego’s Maya Srikrishnan covered the industry vs. residential development debate. The Imperial Beach News reported that several students attended the Donald Trump rally on May 27. One student, Garrett Conder, said he went because he wanted to show people he did not agree with Trump’s message. While at the rally, he booed when other people cheered and then suddenly found himself being escorted out by security. Read his full report here. Sandra Dibble at the Union Tribune reports that a large number of asylum seekers from Haiti, Ghana, Pakistan and Mexico have been seeking entry in the U.S. these past few weeks. Tijuana’s shelters are overflowing. Read the story here. Yep, that’s right, the Swiss Club in Chula Vista will hold its annual Schwingfest on Saturday, June 11th. Schwingen beings at 11am. Here’s all the information you need.